This End Table with a drawer and a shelf is made of solid Pine with Poplar legs. 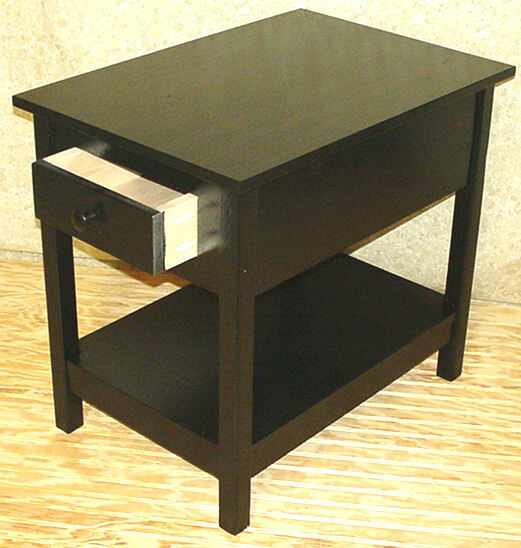 Like just about everything else we make, this end table is assembled with screws so it will last. We can make it any size or color you like.